For Diarrhea. Stomach upset, vomiting, diarrhea, often accompanied by great thirst, restlessness and sciatica. Worse just after midnight. Disclaimer: These statements have not been evaluated by the FDA. These products are not intended to diagnose, treat, cure, or prevent any disease. Arsenicum Metallicum 30C is a homeopathic medicine by Boiron. 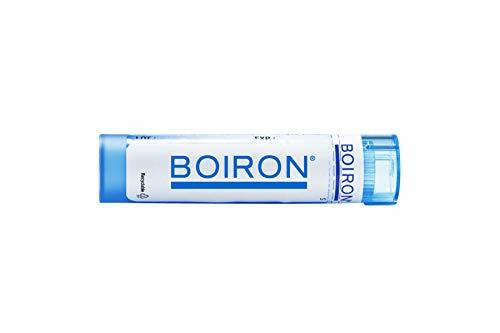 This medicine uses highly diluted natural substances to relieve symptoms. This medicine comes in quick-dissolving pellet form. The multi dose is the common dosage for homeopathic remedies. The tube contains 80 pellets offering 3 to 5 pellets per dose, to be taken under the tongue at specified times. 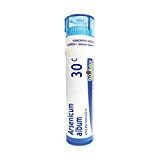 Arsenicum Bromatum 30C is a homeopathic medicine by Boiron. This medicine uses highly diluted natural substances to relieve symptoms. This medicine comes in quick-dissolving pellet form. The multi dose is the common dosage for homeopathic remedies. The tube contains 80 pellets offering 3 to 5 pellets per dose, to be taken under the tongue at specified times. Arsenicum Sulphuratum Rubrum 30C is a homeopathic medicine by Boiron for acne, eczema. This medicine uses highly diluted natural substances to relieve symptoms. This medicine comes in quick-dissolving pellet form. The multi dose is the common dosage for homeopathic remedies. The tube contains 80 pellets offering 3 to 5 pellets per dose, to be taken under the tongue at specified times.